Learn The Awesome Art of Safe Cracking! Fully functional, 3 digit combination lock. 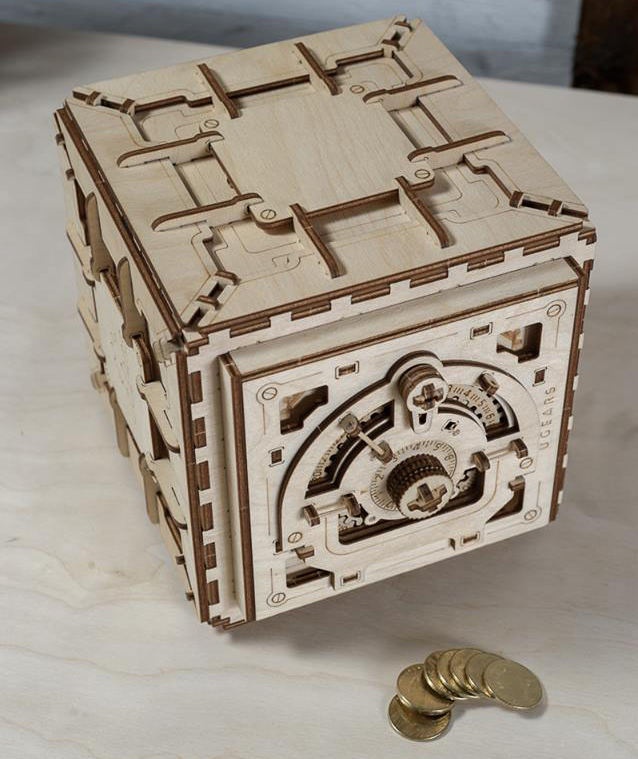 Challenge your friends to crack the safe. With the UGears Safe you'll learn all about the profession of safe building as well as safe-cracking. Ever wondered if you have the skills to crack a safe? 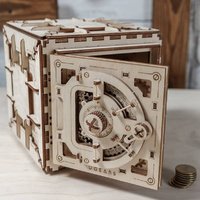 Move over Oceans Eleven, with this cool wooden model of a real life mechanical safe you have everything you need to a be bigger star than George Clooney and Brad Pitt. 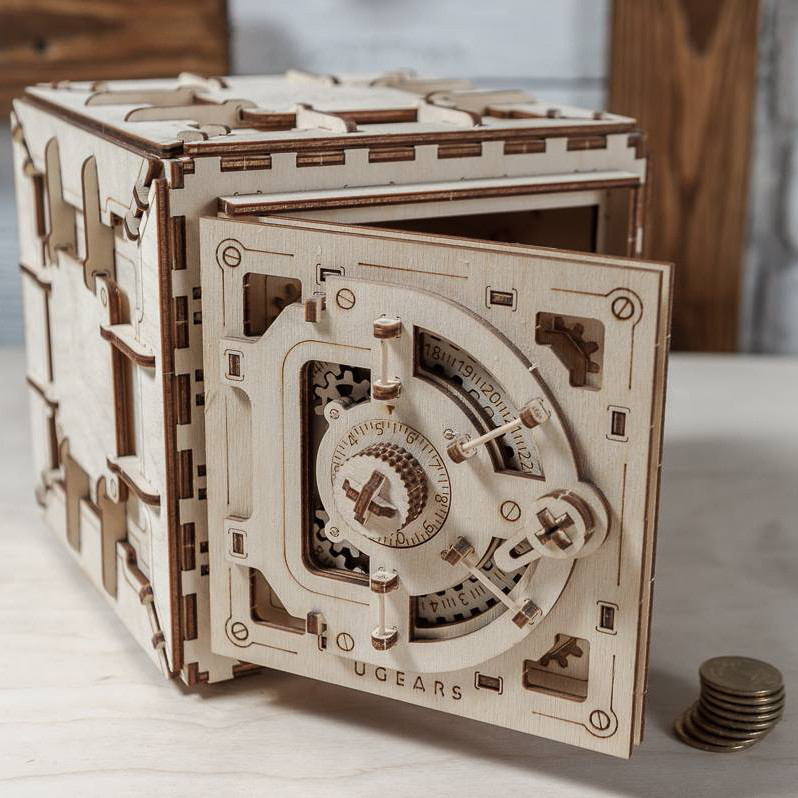 Once constructed the UGears Safe is a fully functional working model of a real safe complete with a 3 digit combination lock and can store all your precious items. Full disclosure: It is possible to figure out the right combination by twisting the front knob and listening super carefully for the tiny internal clicking sounds, after reading the basic algorithm of safe cracking outlined in the instruction manual you'll have your new found skills and be able to do this. 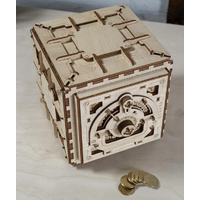 Full easy to follow picture based instructions for construction of the safe and cracking the locking mechanism are included and as like all UGears models, all the wooden pieces slot together without having to use glue or nasty chemicals. 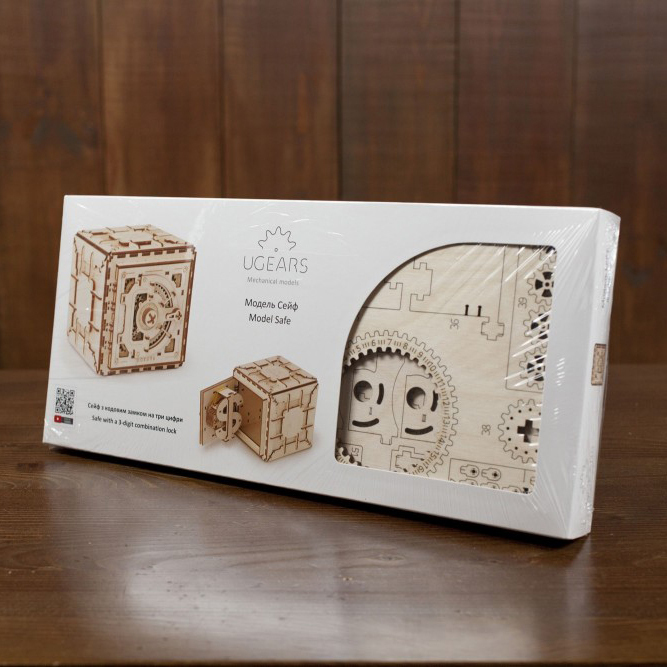 The UGEARS Safe is guaranteed awesome fun for everyone before, during and after it's assembly! Quality product, true working model. 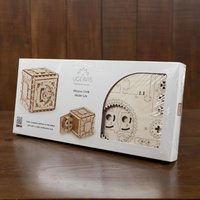 I found the UGEARS Safe very entertaining and easy to comprehend directions made it that much more enjoyable. I plan on getting more of the models available and so will my friends. 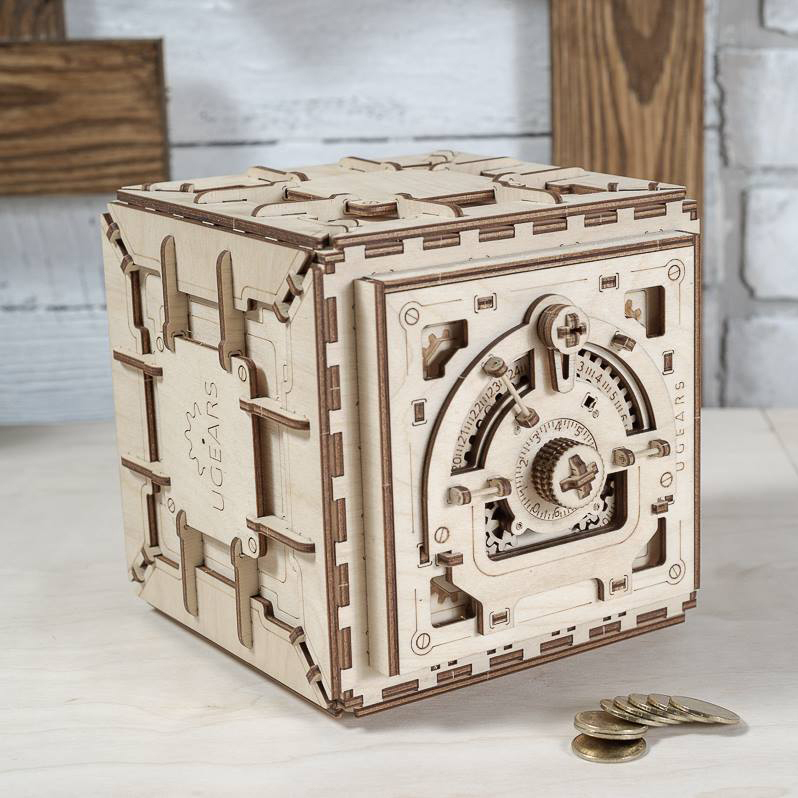 I phoned Cool Things and asked them to order in this Ugears safe and the Ugears Treasure Box and send them up to Sydney to me in time for Christmas. Their Customer Service is fantastic. They delivered in plenty of time & I am so happy with the Ugears models. I gave the safe to my 15 year old son who enjoys a construction project. It’s packaged well & is complicated enough to keep him busy. 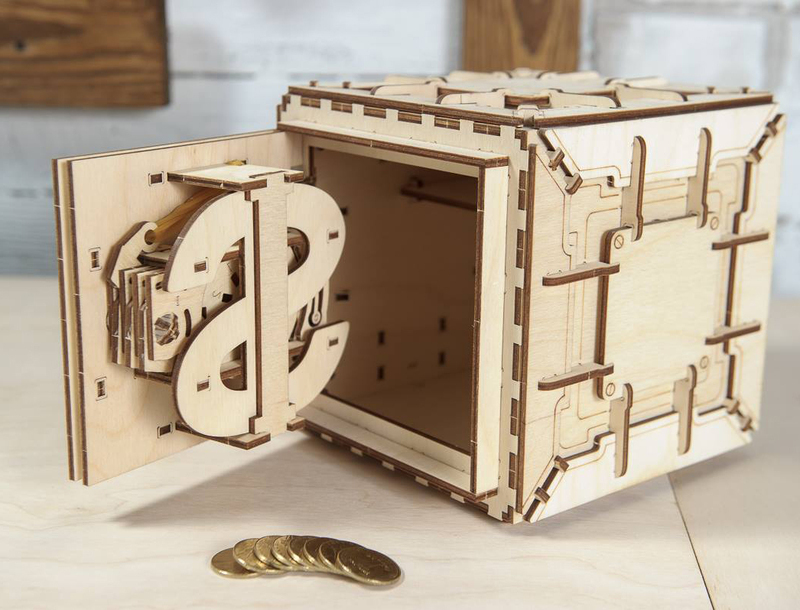 The treasure box I gave to my 19 year old daughter. She enjoys puzzles so I thought this was something different that she’d enjoy putting together. Thank you Cool Things! 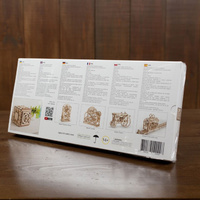 I bought this on kickstarter. I bought this on kickstarter. Dont be too worried about pressing hard to put it together. Really works amazingly well considering its wood. LOVE IT!